One of two consecutive posts published on the mother's Timeline in January 2015. In the two posts, it appears she is referring to the 8-year old dog's tapering ability to hop up on the couch, "Well....he made it up here..."
The deceptive propaganda about the breed, "It's all how you raise them," promoted by pit bull owners, breeders, animal groups, television programs and more, is clearly evoked in these two photographs. This false narrative wholly denies the heritage of the breed, involving centuries of selection for bull baiting then dogfighting. The purposely-bred form and function of a fighting dog is to attack without warning signs, to execute the killing bite and to relentlessly attack until death. 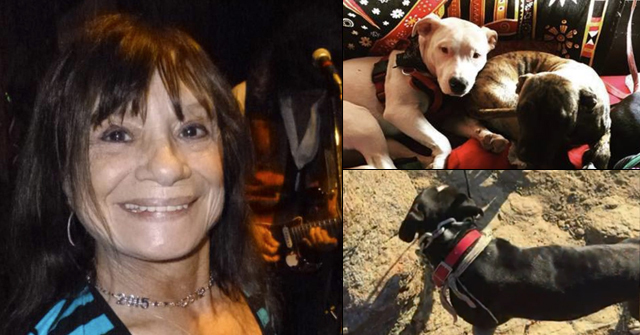 The aging family pit bull that lumbered onto the couch in January, with no history of aggression, had no problem suddenly executing the killing bite a few months later. Latching on to the baby's head, killing it, was just part of the deadly attack. When the father succeeded in getting the dog to release the baby, the pit bull next attacked the mother who intervened. At some point, the father was able to drag the 8-year old pit bull outside where he shot it to death, ending the attack. Dallas, TX - Dallas police report that a 2-month old baby boy was mauled to death by his family's pit bull on Sunday afternoon. The deadly attack occurred in the Red Bird neighborhood on the 6800 block of Beechnut Street at about 5:00 pm. At the time of the attack, the boy and his father were alone at the home. The father had stepped outside to turn on the sprinkler system. When he returned, the pit bull was attacking the baby who was in a bouncing seat, according to police. 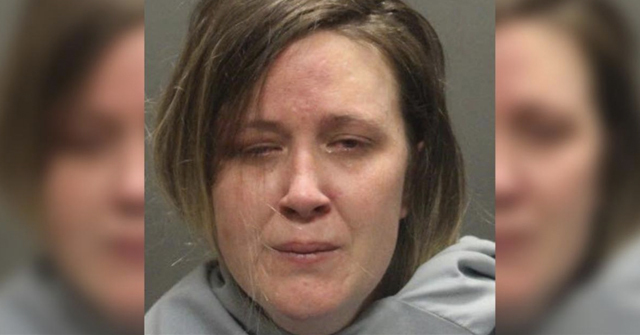 As the father tried to pull the dog off his baby boy, the mother arrived home and walked in on the fatal dog mauling scene and was bitten twice by the attacking animal. The father was eventually able to grab the family pit bull by the neck and tear it away from the boy and his mother. The father then dragged the animal outside and shot it twice, according to Dallas police. The 2-month old baby boy, Brayden Wilson, was transported to a local hospital, where he was pronounced dead. 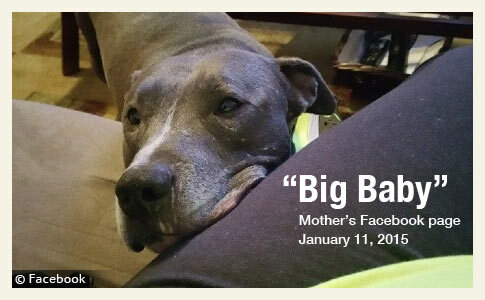 CBS 11 News reported Monday that the family pit bull, named Grady, was 8-years old. The dog had been with the family for nearly a decade and had played with other children before. CBS spoke with the child's grandmother who said that family members are "in shock" that the pit bull would suddenly turn on the child. The grandmother also told CBS 11 that other children were at the home at the time of the savage attack, but were playing outside and did not see the violence. Child Protective Services interviewed the family twice. CPS has no prior history with the family. 1It is unknown how long the page was deactivated. 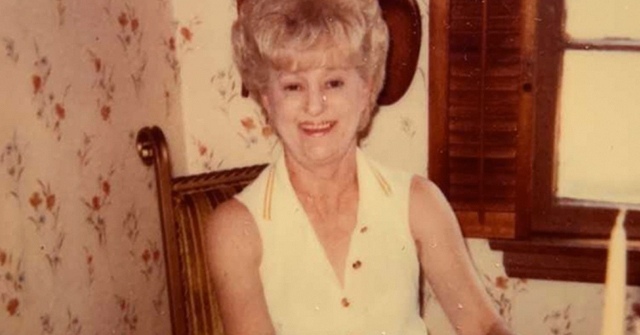 On April 20, the Google Cache of the mother's page did not contain any posts, just the cover and profile images. By April 28, the page was active again with many public posts. If its all in how you raise them, then the parents must have trained the dog to kill the kid. Looks like criminal intent to me. A massive amount of "all dogs maul and kill infants when you leave them alone for a split second" blather is being posted right now. Ah, I do not understand why dog owners continue to support pit owners – they seem hell-bent on getting the entire SPECIES banned. The pit bull was doing what it was bred to do. I am so sorry that because pit bull advocacy has infected the media, that this family was misled into this situation. Pit bulls are not pets, and are especially dangerous anywhere near children or the elderly. There is nowhere on earth where there aren't children or the elderly or the other animals. Dog fighting is now illegal. There is no reason other than greed to breed fighting breeds. Shades of the Beau Rutledge case from two years ago. An eight-year-old family pit bull killed him. And, here's an unintended consequence for y'all: If all dogs maul and shouldn't be left alone with children, won't dogs become less popular? I mean, who would want to have something so dangerous near the kids? Your Quiet Neighbor: I thought of poor Beau Rutledge too. I feel so bad for the children who pay with their lives. I also feel bad for their parents who have been duped by a propaganda machine that cares more about mutant dogs than it does about innocent children. 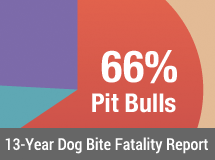 If only pit bull owners could stop long enough to say, maybe these dogs are different?, maybe they should be regulated differently than other dogs? If only the bloodshed was contained to the actual people that decide to get these dogs, I'd be more OK with it, but there is always a child, neighbor, etc. that gets killed as well. This is so so tragic! Another family learns this hard lesson the hard way; the loss of a child. " The other children did not witness the violence"??? … I have a 1 month old baby and I assure you his older brothers (2yrs & 4yrs) would be devastated if all the sudden he was just gone. Parents, our children need to feel safe. They don't need Lassie or Rin Tin Tin. They need us, their parents to make good decisions and they need our protection. It's not complicated. I think the people that give pitbulls and other dangerous breeds a home need to be getting the cold shoulder. Right now it's very comfortable to be an owner of one of these dogs. Let's make it uncomfortable for them! I live in South Florida and unfortunatley there is a certain entitlement mentality…. It's worse with the dog owners. You can't sit down at a restaurant or go to the OBGYN (no seriously!) without seeing a dog paraded around the facility in a stroller like a human baby. It only gets worse with the bully breed owners. They are completely offended and shocked with any push back from people like me. When I won't let my kids around their dogs or when I ask questions or when I hold them accountable, they want to debate or fight or whine. It's time to arm yourself with a deadly weapon and take a no apologies attitude with these dogs and their owners. Let's make it really uncomfortable! My heart breaks for this family. "The father ran outside to turn on the sprinkler" yes. That is what parents do. It is impossible to watch a child every winking moment. These dogs are opportunists. Just like my son. They waited for the perfect time to attack. I'm sorry Jeff, I think about you and your wife often. You do so much to raise awareness about the bully breed problem. Thankyou! So sad for the parents in this case, unless they turn out to have ignored previous aggression like some others. I can't imagine the sense of betrayal to have your loved family pet do this to your precious newborn. If they had ever heard that pits were dangerous, I'm sure they were confident that their pit was so different. Before May 16th, 2015 I was very neutral about pit bulls and their ability to attack. I was in a public park with my Boston terrier on a leash when an irresponsible dog owner let his blue nose pit bull off his logging chain. As a mother would do for her child, I instinctively grabbed up my dog in an attempt to avoid an attack on my dog. While holding my dog the pit jumped up twice, once tearing my shirt but the next jump he grabbed, hung on and shook my forearm tearing my flesh to the muscle. The dog only let go after being bit several times with the logging chain. The owner ran away with his dog leaving me bleeding and hysterical. Thank God my 16 year old son was there to call 911. It's now a week later and I'm still here in the hospital with infected wounds and numerous lacerations. This has been a devastating ordeal. Both mentally and physically. I would like to please warn the public to the possibility of such an attack happening without any warning. My brother in law got a pitbull as a puppy. The dog was well mannered, well behaved. Put our aussies to shame in public, but we were deceived. You might not believe these out of nowhere attacks but I am a believer. They just snap one day and no one knows why. I think it's because this is a breed that excels at killing things. Something triggers them maybe the baby crawled or made a sound or looked like prey. This dog that I grew to love and trust one day snapped and killed one of their aussies puppies. There was no sound as he caught the puppy, we assume he injured their mother as she tried to help her pups or maybe he went after her and could only catch a puppy too slow to outrun him. My sister told me she saw mom and puppies playing outside and after monitoring went inside for ten minutes and heard their other aussie throwing a fit outside. She went out kitchen door into backyard and pit rounded corner with pup in his mouth tail wagging and other dog circling him and barking non-stop. It took my sister and moment to realize it was a puppy she told him drop it and he dropped pup and ran. The other dog sat by puppy as what my sister described as a moan escaped puppy as she ran over and pup's eyes glazed over. Their other dog whined and layed down by puppy. My sister called me horrified and sobbed a couple times. I heard and felt her fear, fear of a dog she's loved and trusted. She told me she was going to catch him and stick him in computer room for a bit. Luckily he went in but she said he didn't even look like the same dog, his eyes were wild, his face covered in blood and he growled at her. She waited for him to settle then put him in the car and took him to be put down. I feel betrayed by the people who told us it's how you raise them. That could have been my nephew attacked and mauled , or one of the other dogs killed. Our trust and faith in the breed forever broken. No more a house pet than a cattle dog is. This breed has it in them, it's what people created them to do, kill things. Dogs that attack people should be put down immediately with extreme prejudice. We desperately NEED To follow Jensen Family advice. A strong "Won't back down" MOVEMENT OF THOSE WHO *have* been directly affected AND EVERYONE ELSE TOO. We must start making them uncomfortable. Jeff was so right when he said somewhere that a pit owner walking by with a killer dog, makes us makes us feel like they're walking by with a loaded gun. Seeing victims without their upper lips, like Kyle Dyer had in under a second, hell, I'd rather be shot if I could keep my intact face! Poor lady! Any one of us could have fallen for that sweet doggie face with their propaganda lies leading us. It tore my heart out to see what she went through. We should start making them squirm, because they can and are getting away with murder and mayhem, just hiding behind their dogs.